Sleepy Nico Crush, another of our exclusives, features a gorgeous green, blue and teal print with a bale of turtles swimming around, reminiscent of Crush and his friends in Finding Nemo. Dude!! A lovely contrast to the soft black cord waist and straps. 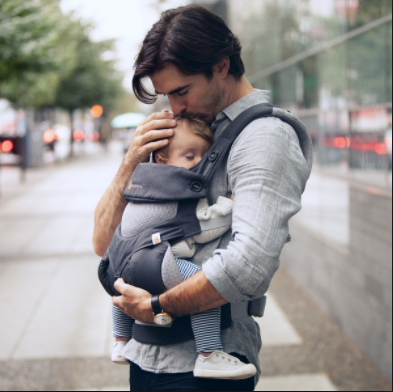 The Sleepy Nico carrier is one of the most beloved carriers among Sheffield parents; the combination of the cheery prints, the soft cord, the gentle padding, the comfort and flexibility for carrying with cross or rucksack style straps. The Sleepy Nico carrier is one of the most beloved carriers among Sheffield parents; the combination of the cheery prints, the soft cord, the gentle flexible padding, the comfort and flexibility for carrying with cross or rucksack style straps. See the rest of our Sleepy Nico designs here. 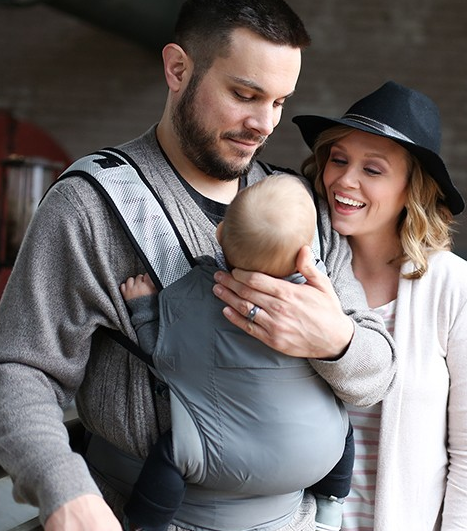 We also have a toddler version of this carrier here! We are proud to stock the new 'Maggie' carrier, this new carrier is only available from Sling Spot.